Asylum seekers sit on a bus that has arrived in San Antonio after they were released from detention centers in Karnes and Dilley. San Antonio's Mennonite Church has become of the heart of efforts to help hundreds of women and children asylum seekers who were abruptly released from detention centers beginning Friday night. Immigration officials have not responded to requests for details about this release of asylum seekers and what will happen to other women and children who cross border. It was two summers ago that we saw the tremendous surge of unaccompanied minors and young mothers with children crossing the Rio Grande. They were fleeing out of control gang violence in Central America and surrendering to the first border agent they could find. 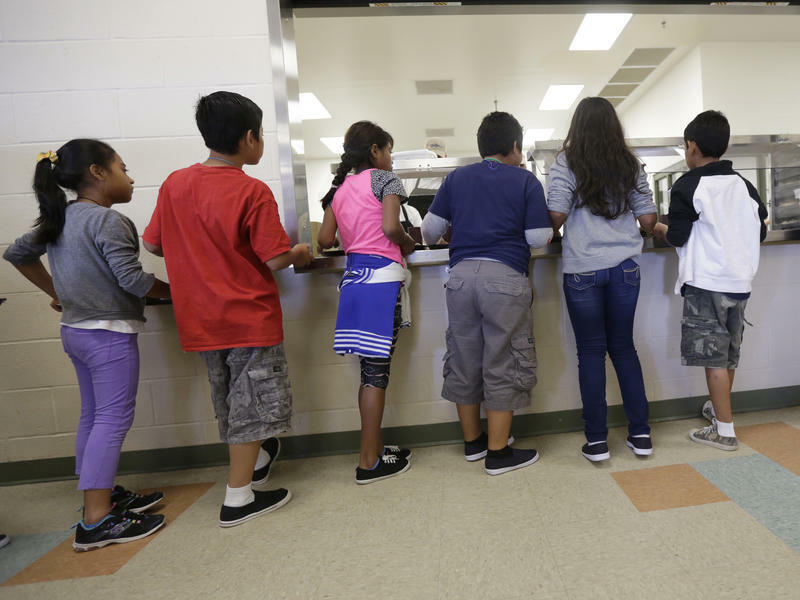 The numbers of the children and women overwhelmed the immigration system. A temporary restraining order is all that prevents the Texas Department of Family and Protective Services from issuing a child care license to the South Texas Family Residential Care Center in Dilley Texas - just south of San Antonio. The federal government's controversial immigrant family detention camps in south Texas are back in court. A Texas state judge has blocked a state agency from licensing the childcare facility inside a mammoth, 2,400-bed private lock-up. The detention facility was opened to temporarily confine undocumented mothers and children who have been surging across the Texas-Mexico border fleeing dangerous conditions in Central America. Texas Department of Family and Protective Services are close to a decision on whether to allow two private prison companies to register their immigration detention facilities as licensed daycares. In an effort to address the influx of children at immigration detention centers in Karnes City and Dilley and bring them up to state standards, the Geo Group and Corrections Corporation of America requested a special license from the state that would certify the facilities as childcare centers.